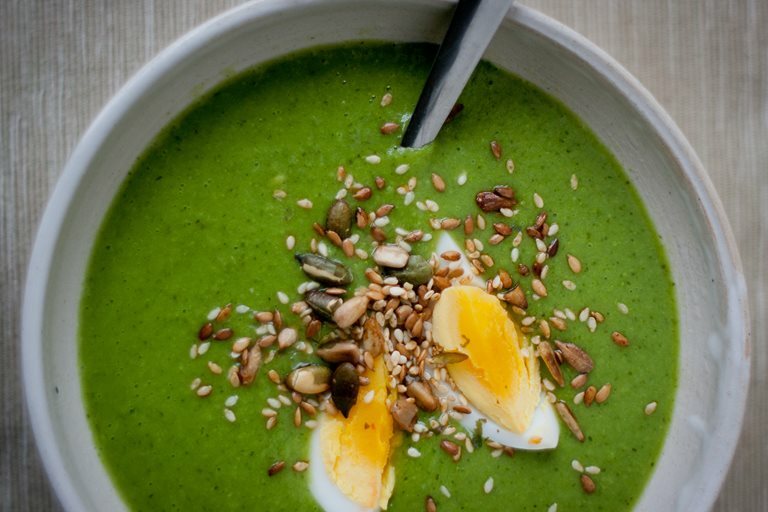 This beautiful pea and watercress soup recipe shows off the full potential for this flavourful salad leaf. 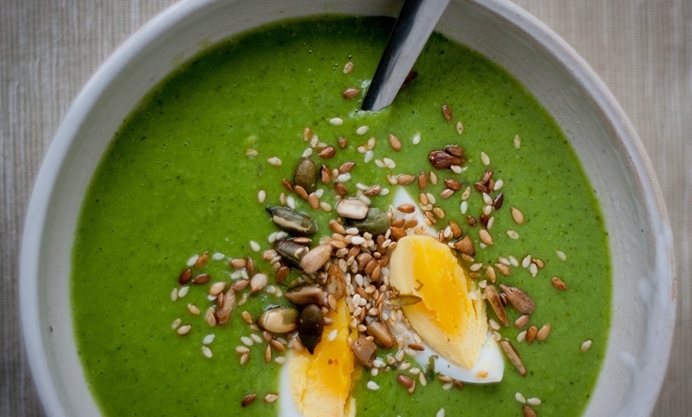 The peas, complemented by a touch of mint, add a vibrant freshness to this light, summery vegetarian soup. When I first moved to England, I was mystified by the presence of watercress on the shelves alongside more common salad greens like spinach, “baby leaves” and arugula (“rocket”, that is). It’s available all year round, though it’s at its best April through September. Still, even when watercress is at its prime, I have a hard time dealing with it raw - it’s flavour is bitter, slightly peppery, which I often find overpowering when served in a salad or as a garnish. So I’ve been exploring watercress’s other uses, treating it more as an herb, and in the process have discovered some great ways to use this pungent green outside of the salad bowl. The sweet peas and refreshing mint in this recipe balance the peppery watercress, and it’s super delicious garnished with croutons or a hard boiled egg.